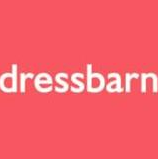 Dressbarn has a great coupon to help you get 30% off your purchase. The coupon is good in-store and online as well. Use coupon code EFF413 to receive discount. Coupon is valid through 4/21/2013. Another coupon available is this one for 25% – 45% off at Banana Republic. This coupon is valid in store only and is available through 4/21/2013. Kohl’s has this new 20% off Saving Pass coupon valid 4/18 – 4/21. See coupon for exclusions. If you prefer online shopping you can use promo code BLOOM at checkout. Plus, from 4/10 to 4/21, everyone gets $10 in Kohl’s Cash for every $50 spent in store, online & at the kiosk on all sale, regular & clearance-priced merchandise.